Our 6-Month Challenge program ensures your success! and join in the 6-Month Challenge! your center, ground and power. With its monthly Prototyping Labs and Weekly Challenges, the 6-Month Challenge is focused on taking action, and there's an important piece that makes our program unique: You'll learn 4 Centering Tools to stay anchored in your steady, unshakeable power within, where you access your higher wisdom, inner resources and real answers. You'll take action from there. When you take action from your center and in your power, the rubber really meets the road. Every action is potent. The four Centering Tools are: Power Activation, Guiding Principles, Easy On-Ramp Centering Practices and Group Synergy. quantum leaps and breakthroughs a common occurrence. The 6-Month Challenge creates a vibrant team to share ideas and take bigger, better action. At Sacred House we are experts at putting you in a room with other passionate go-getters, and giving you activities that cause breakthroughs, aha moments and quantum leaps. It's fine to create on your own, but we've discovered that pretty much everything turns out better when you create with synergistic input. So at every Challenge event, you'll have a think tank of co-conspirators. With a bunch of us in a room like this, we catalyze each other's projects. It's powerful and really fun! Okay, so you're bopping along creating this Big Thing that you're passionate about, being awesome and getting more and more adept at taking actions from your center, when Wham! You hit a roadblock. A doubt. Or procrastination. Or self-criticism. Or maybe just a really hard decision. And you're stumped because your typical arsenal of skills isn’t quite getting you past it this time. At Sacred House, we know this is all part of taking it to the next level. You are taking more risks with this new project, stepping out on a bigger stage. Like, you're publishing your second book and wondering if it's going to be as successful as your first. Or you're writing proposals for startup cash, but this time it's for $50,000 instead of $15,000. What "next edge" might you hit up against as you achieve your next big thing? 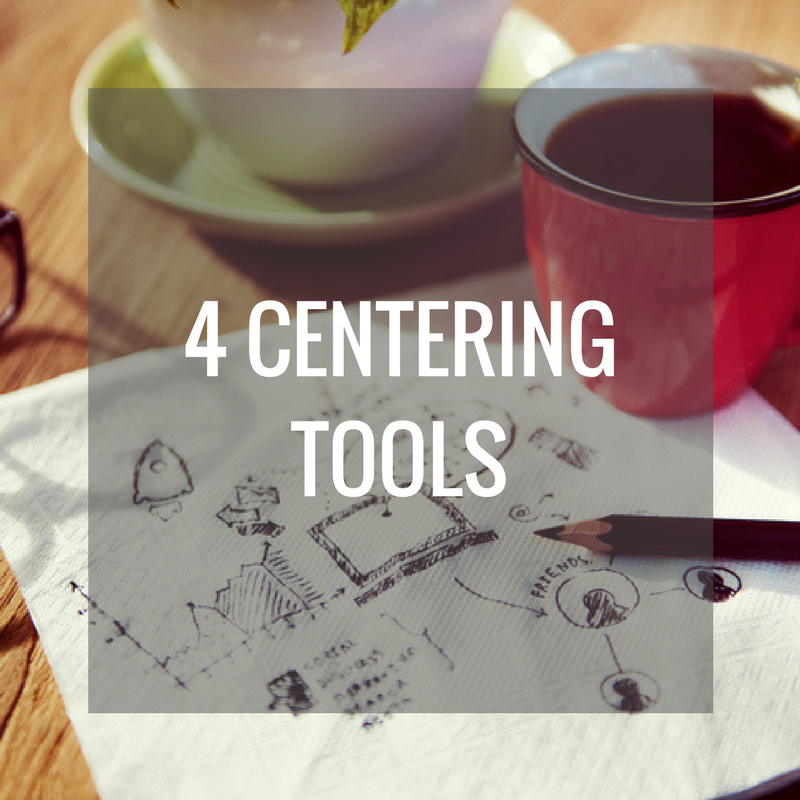 In the 6-Month Challenge, we use the 4 Centering Tools to tap into your center and your power at all times, but especially when you get stuck, because your center is where your confidence, your vision and all of your answers live. Our Power Activation video has a short interview about a 6-Month Project, then the 3-minute Power Activation meditation. Start using the tool right now! April, 2017 is Birthday: Hone the very clear outcome to bring to fruition by the end of six months. May, 2017 is Architect: Lay the solid foundation for your project. June, 2017 is Builder 1: Put in place all tangible structures needed for your project. July, 2017 is Builder 2: Take the practical actions that make your project real and in the world. August, 2017 is Passion: Continue to take action while energizing your deep belief in your project. September is Expression: Get your project ready to present at our Launch Pad Event on October 7th! • PROTOTYPING LAB is the 1st Wednesday of every month from 7:00 to 9:00 pm. Small group activities to cause breakthroughs, aha moments and quantum leaps for each participant. Turn your breakthrough into a tangible next step by evening's end for powerful forward movement. • CENTERING PRACTICES LAB is the 3rd Wednesday of every month from 7:00 to 9:00 pm. Create your very own "easy on-ramp centering practice" for the coming month - a practice that you will actually follow through and do because it's a perfect fit for you. Leave with a Centering Practice plan to stay in your center and power as you take action steps in the coming month. Your Weekly Challenges come as Mini Guide PDFs (2 pages) every Monday via email. Each Challenge is an action step in the spirit of the monthly theme and your goal is to complete it by the following Monday. This keeps your momentum in motion! As a bonus, check the month's Catalyst Cafe action meetings calendar to see if any meetings fit with your schedule. At Catalyst Cafe, we use our Group Brainstorm practice to get action ideas and motivate each other around the Weekly Challenges and monthly theme. #1: Power Activation is our foundational meditation to come back to the core, passionate impulse that is driving you to create this particular project. This impulse IS your power because it is how your life energy wants to express at this time. When you tap into this potent impulse, you return to your center and activate your vision, passion, confidence and higher wisdom for your next steps. #2: Guiding Principles return you to your center and power as you take action steps and encounter stumbling blocks. Imagine having a wise core principle that came from you, that fits you perfectly and that unlocks your next step at every turn. There's a free intro Guiding Principles Training open to the public every other month, plus all 6-Month Challenge events facilitate you to stay in touch with your Guiding Principles at every step as you're creating. #3: Easy On-Ramp Personal Practices are your own tailor-fit Centering Practices that keep you anchored in the part of your brain that is in charge of aha's, insights and calm steadiness. Each person has their very own unique style for Personal Practice, and we teach you to identify your very own set of "easy on-ramp" practices that you'll actually follow through and do because they're made just for you. #4: Group Synergy is our unique Sacred House practice to catalyze aha moments, breakthroughs and quantum leaps when you put a bunch of go-getting people in a room together while each person stays anchored in their true center and power. It's all leading up to the Launch Pad Event which is basically like a big science fair celebration for what we've accomplished. We'll have tables that display what our projects are all about, plus some of us will even get up and speak about what we're launching. We'll invite all our family and friends to the party to celebrate with us. All events at TEEM event space (2088 Broadway) in downtown Boulder. Final deadline to register is April 3rd. The program is $997 in one payment or $197/month for 6 months. Once we receive your payment, you'll be officially enrolled, and we'll send an email from hello@sacredhouse.org with full details to get started. If you attend the first month of your 6-Month Challenge and decide it is not for you, just let us know and we will extend a refund, no questions asked. I have to tell you, I'm a bit of an addict when it comes to creating "next big things". Businesses, movements... this is not my first rodeo. The biggest lesson that I've learned is that the creation process works simultaneously on two levels. There is the nitty gritty level of action steps and making stuff happen. But then there is the deeper place - the quiet center within that connects you with your core creative energy and guides you as you take those actions. That quiet center and deeper connection - it's everything. Without it, you cast about, taking action without your full power. But when live from your center - that steady, unshakeable place where you can always pull from your higher wisdom and inner resources - that's when the rubber really hits the road, and every action is potent, every action moves you quantum leaps forward. I had this aha back in the mid-2000's. 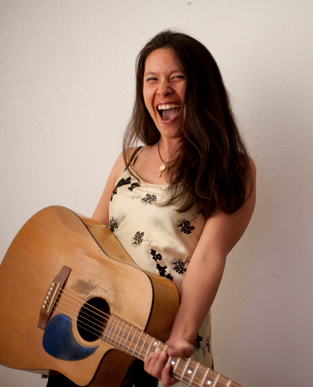 I had been a performing singer-songwriter for a decade, but I stopped because I was burned out. In my performer hey-day, I was the golden child of the Detroit music scene - newspaper and magazine critics were constantly lauding me as the local chick who would make it big... "Lisa Hunter is really going somewhere." Funny thing, I always had a feeling that I wouldn't. Not because of talent, but because it felt like I was missing something essential to bringing that big vision and dream to life. Years later, after experiencing intense burnout, I began to find my own unique spiritual path. And that's when it hit me - "Ohhhh. If I had 'made it' back then, I wouldn't have been able to handle it. Not without a strong inner center to keep me steady, aligned and resourced to my own true nature and power. I might have become a drug addict or had a nervous breakdown or gone down a path that was out of alignment with my integrity." In that moment, I realized that strong inner personal foundation is everything. This is why the 6-Month Challenge. We want you to have that strong center and power. And to make big stuff happen from that place. Can't wait to see you in the Challenge! for the six months of programming. Final deadline to register is April 3rd, 2017. Once we receive your payment, you'll be officially enrolled, and we'll send an email from hello@sacredhouse.org with full details to get started! If you attend the first month of your 6-Month Challenge and decide it is not for you, just let us know and we will extend a refund, no questions asked.